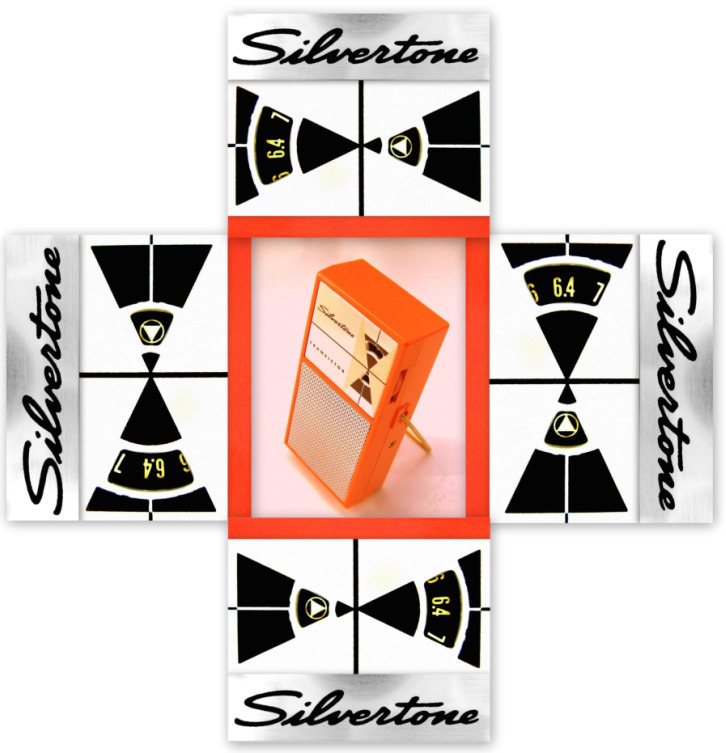 This Silvertone 212 was manufactured in the USA by Arvin for Sears, Roebuck & Co circa 1959. There is something very atomic looking about this radio. The silver face has a somewhat foreboding black pattern framing the open air tuning dial. It looks like a warning symbol you might find on the outskirts of some bomb testing station in the Texas desert... The civil defense (CONELRAD - CONtrol of ELectromagnetic RADiation) markings, where citizens could tune in for warnings of an imminent nuclear attack are highlighted at the bottom of the tuning dial. When the dial is tuned to either '6.4' or between '11 & 16' the little triangular markings become visible in the lower window, becoming part of the dial. Just tune in from your bomb shelter for all the latest gossip from the wasteland! Up close the perforated grill on this Silvertone looks like a design that you might find on a Gucci handbag or some other such haughty item. 5 year guarantee on 6 transistors. Plays up to 500 hours on a single battery. 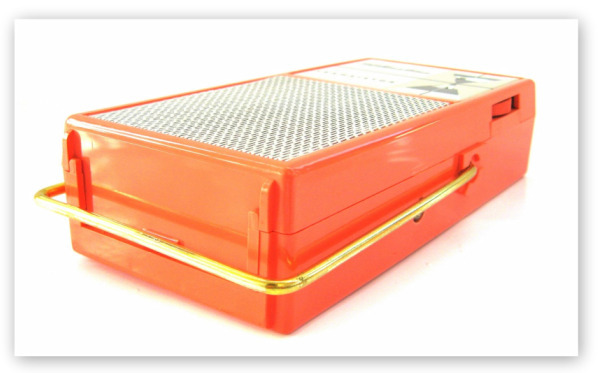 Choice of black, coral or blue plastic case. Sears began selling phonographs branded as Silvertone in 1915 and in the early 1920's they added Silvertone radios to their product line. 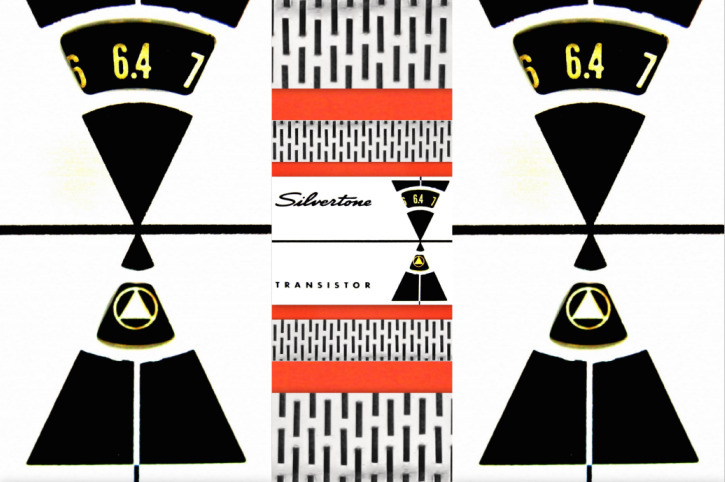 Silvertone products last appeared in Sears spring 1972 catalog on televisions and stereo systems. This model, 212, was almost certainly made for Sears by Arvin. 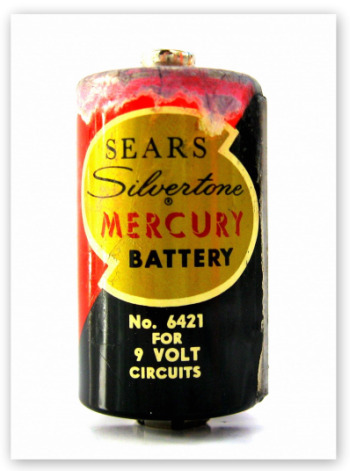 Arvin was one of the manufacturers that Sears contracted to make their radios along with Stewart-Warner, Detrola, Emerson, Sonora and at least 36 other manufacturers known to collectors (Ref Radiomuseum). 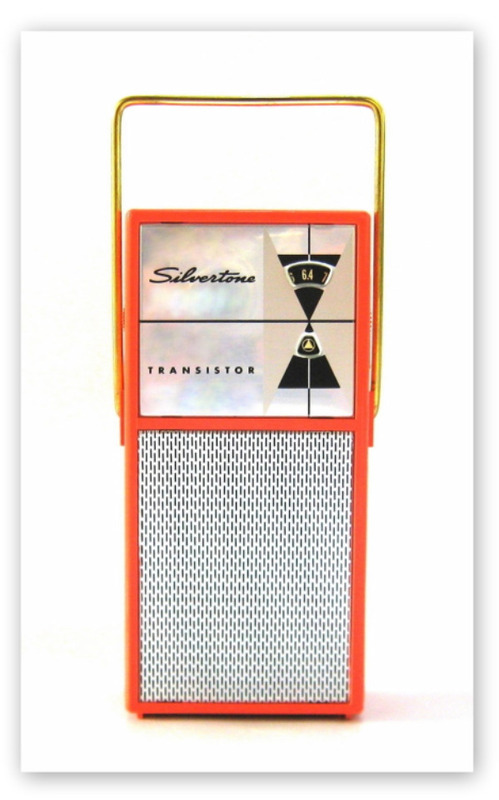 This Silvertone is very similar in appearance to several radios sold by Arvin during the late 1950's most notably models 9577 and 8576. Both of which are tall, slim coat pocket radios like the 212. 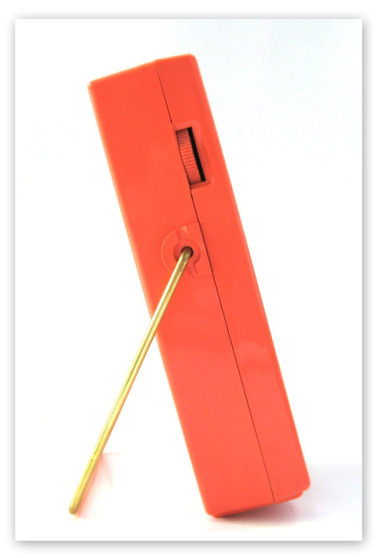 Arvin Industries can trace its roots back to the Indianapolis Air Pump Company formed in 1919. They formed a brief association with the Ford Motor Company in the 1920’s and went on to produce parts for the automotive industry. In 1927 they became Noblitt-Sparks Industries and began to manufacture products for the fledgling consumer electronics industry. They manufactured their first home radio in 1935. In 1940 Arvin began supplying Sears Roebuck & Co with radios. They made their first AM/FM radio in the late 1940's. In 1950 they became Arvin Industries. 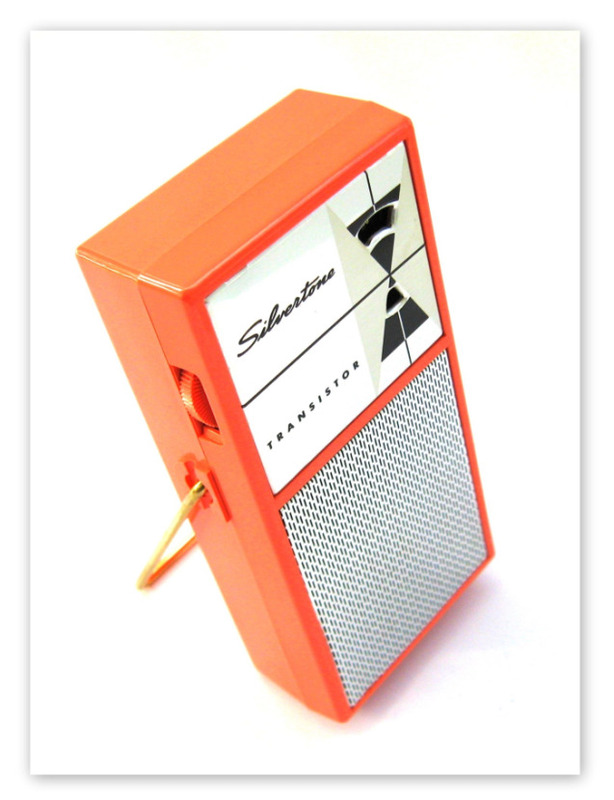 Model 9562, a large 7 transistor portable from 1956 that ran on two 9v batteries was probably Arvin's first transistor radio. Today Arvin is known as ArvinMeritor Inc, a global provider of integrated automotive systems, modules and components. When I opened this radio up I found a 50 year old Sears Silvertone mercury battery inside. It's a little corroded on one end but this has not affected the performance of the radio, which works fine. 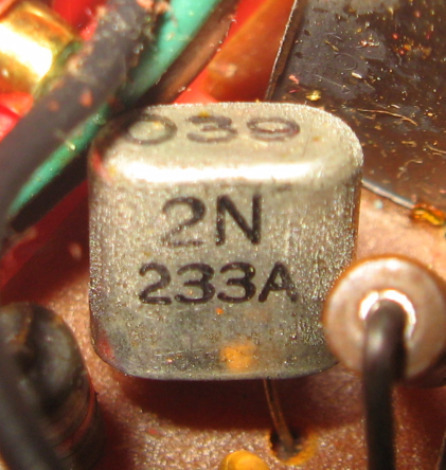 This Silvertone 212 uses 6 transistors. The sticker inside lists model numbers 211, 212 and 213 with corresponding colors black, coral and ice blue. 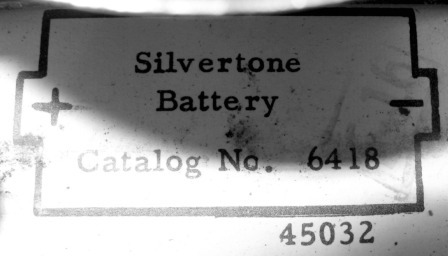 There are a couple of numbers listed, '49051' on the Silvertone sticker and '45032'. Either of these could be the serial number.